In my previous post on the ms-rteStyle, the ms-rteElement CSS classes and their role in the generation of the Styles and the Markup Styles menus items within the SharePoint 2010 Ribbon, I promised a real world example of the Wiki Page branding. I will provide it soon, but first of all I had to deeply explore how all was implemented in the new SharePoint 2010 version so this post will be a very technical review of the involved blocks. That way, I will be able to refer to the technical explanations of this post when I publish a real example of branding. Then, I decided to understand how they was generated by the product. 1 -The <SharePoint:CSSLink /> control - How does it work? Check if there is customized CSS and return the url if yes. flag there is alternate css and register the value. either /_layouts/lcid/sytles/themable/corev4.css if you use v4.master and a site based on a native SharePoint 2010 site definition. Plus a link to dlgframe if you have open a SharePoint 2010 dialog. it sets programmatically the styles for the SharePoint 2010 dialogs. Notice also that even if you use an alternate CSS and display a team site wiki page, the OOTB corev4.css will be loaded ANYWAY. So where does come the wki.css and the search.css references from? They are rendered by the control in the Render method, based on the enumeration of the CssRegistrationCollection filled by at least a SharePoint.CssRegistration Web Control used in a declarative or imperative way. 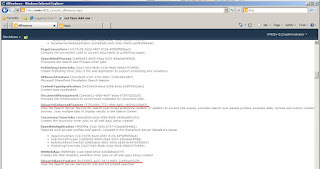 This control and this method are both linked to the <SharePoint:CSSLink> control, because they are adding links to a collection at the level of the site (CssRegistrationRecord) and the CSSLink control will enumerate this collection during the Render method to render all the links to css files that are registered within this collection. This delegate gives us the choice to call different kind of search box at the top of the page. and also references the the Microssoft.SharePoint.Portal.WebControls.SearchBoxEx located in the Microsoft.Office.Server.Search dll, but its sequence number is lower and the properties of the feature element (SearchArea.xml) are different. But how to know which control is actually called by the DelegateControl? As you have noticed for these three features, one has the scope Farm and the two other the scope WebApplication. As the lowest sequence number delegate control wins, we have the Microssoft.SharePoint.Portal.WebControls.SearchBoxEx installed by the OSearchEnhancedFeature. What all that does mean? I have already talked a bit about SharePoint 2010 new themes in my previous post on the Managing the CSS styles for the SharePoint 2010 wiki pages and since the RTM delivery, things have been changed since the automatically generated themes files are now stored in another location than in the SharePoint 2010 Beta version. _catalog/theme/Themed/ virtual directory within the content database. What is important to know is that you CAN specify which css file will be involved when applying a specific theme and which will be not, ie what file is themable and what is not. Important: There is also a property called EnableTheming, so do not mistake EnableTheming that is inherited from System.Web.UI.Control for EnableCssTheming that is a new feature of SharePoint 2010 corresponding to the new SharePoint 2010 themes implementation. For instance, assume you allow yourself to perform quick tests of this control by customizing the template of the wiki pages (wkpstd.aspx) that is (I don't need to tell) not a thing to do in the real life. The exact same configuration and operation for the two files gives TWO different results. Why? Especially, why, in the case of the wiki.css, although the EnableCssTheming is not set to true in the wkpstd.aspx template, the rendered link has the /themable/ path? These files references are neither in a CAML file nor in the Database, but hardcoded in the NormalizeThemableCssFile method within the CSSLink web control. Your file will remain themable anyway because it is one of the default themable css files! notice that if you don't give to the Name property a complete path but just the file name, and there is no corresponding file in the Themable folder, as SharePoint 2010 will check in the folder for this file, you will have an Exception. Notice that you will have also an exception if the path is not just the file name but a real path and it does not start by a '/' (Except if the first word is Themable). And finally if the path is well formed but is not good, you will not have any raised exception, but the page will not find your CSS file and you will not see your styles appear at the page displaying. Register(String, Boolean) Registers the specified cascading style sheet (CSS) in master pages, content pages, or .ascx code pages, and specifies whether to reference the themed version of this CSS file if a theme is applied. CssRegistration.EnableCssTheming and the boolean parameter enableTheming of the method CssRegistration.Register(String,Boolean) are the same exactly although the names are different. If you want to register a themable css file programmatically, consider overriding the OnInit method. That can be used when applying a SharePoint 2010 theme. If you want your custom CSS to be a part of a SharePoint 2010 theme, you must use the CssRegistration web control. 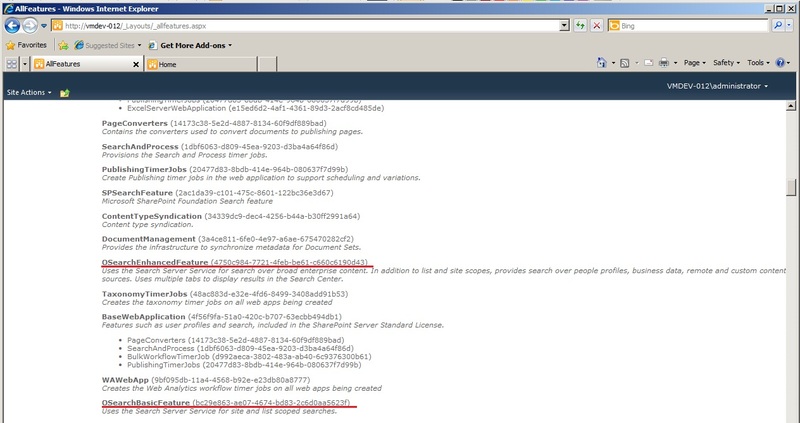 Never, ever remove the CSSLink control from a SharePoint 2010 master page. One fantastic thing : If you add a themable css file reference programmatically to a site, you have not to re apply the theme. The css is automatically included within the theme references when refreshing the page.